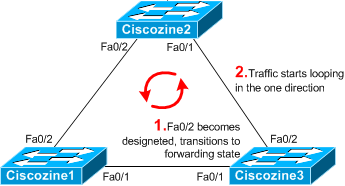 The spanning-tree protocol is used to cut loops that redundant links create in bridge networks. 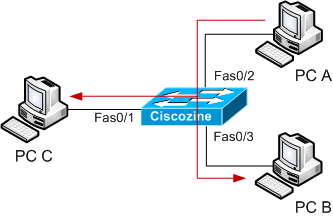 These packets are not attested by the system, so an attacker could spoof the BPDU and compromise the network stability! 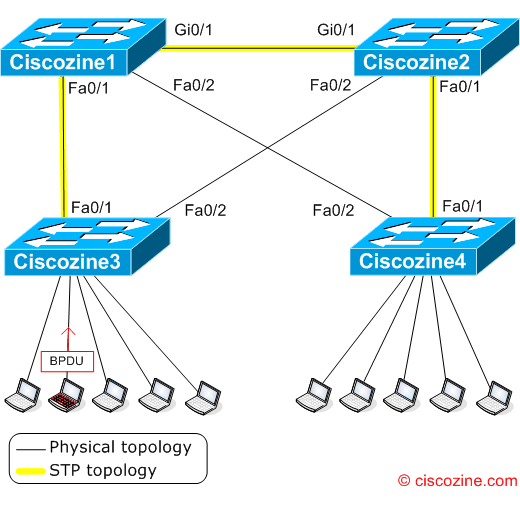 See below to understand BPDU attack: In this example the Ciscozine1 switch is elected Root Bridge due to the lower MAC-address (suppose that all the switches have the same priority). One of the first topic presented in the “Designing for Cisco Internetwork Solutions (DESGN)” book is about the network design methodology. This methodology is composed by six phases closely related: prepare, plan, design, implement, operate, optimize. As show in this figure, the PPDIOO lifecycle phases are separate, yet closely related.